Despite the popularity of Paul Tracy in the North American open wheel racing circuit, the 2003 Champ Car World Series champion has been without a full-time presence in the reunified INDYCAR Series. Able to pick up rides for the Indy 500 as well as the Canadian rounds in Toronto and Edmonton (tracks where his fanfare is at an understandable height), Tracy appearances through the rest of the IZOD INDYCAR schedule depended largely on substitution of other drivers. For 2011, the 42 year-old open wheel favourite will be making a few more scheduled appearances in the 17-race IZOD INDYCAR Series. Running at least five races for the 2011 IZOD INDYCAR Series season, Paul Tracy will join the DeFerran Dragon Racing team. Debuting with the team at the Toyota Grand Prix at Long Beach, The double race at Texas Motor Speedway and the road course of Infineon Raceway at Sonoma sandwiches the two Canadian rounds of the INDYCAR tour. 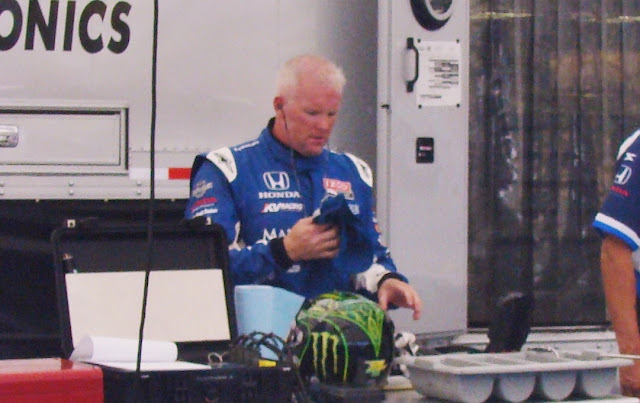 For the first time, Paul Tracy will also be driving the Honda Indy of Toronto and the Edmonton Indy for DeFerran Dragon Racing after competing with KV Racing Technology in 2009 and 2010. No sponsors have been announced relating to the driver/team partnership but expect the DeFerran Dragon Racing car to wear one or several prominent corporate names. Sitting on the sidelines for the IZOD INDYCAR season opening round in St Petersburg and the upcoming race at Barber Motorsport Park starting 2011, the driving deal for Paul Tracy reactivates DeFerran Dragon Racing. Competing through 2009 and 2010 with Raphael Matos as a driver, DeFerran Dragon Racing had made plans prior to the new year after collaborating with 2003 INDYCAR champion Tony Kanaan. The deal between Kanaan and the team fell apart a month ahead of the IZOD INDYCAR season opener in St Petersburg when sponsorship prospects did not materialize. Due to the lack of finances to start the 2011 tour, team owners Gil de Ferran and Jay Penske elected to suspend operations laying off their employees. In addition to the de Ferran Dragon Racing ride, Tracy will attempt the 2011 Indianapolis 500 with Dreyer and Reinbold Racing. Wix Filters will sponsor Paul Tracy through the month of May activities at the Brickyard.